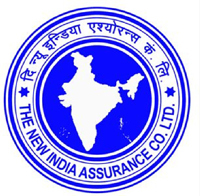 The New India Assurance Company Ltd. (NIACL) has announced the recruitment of 984 Assistant posts in class III cadre. The online application process for NIACL recruitment will start from 6th March 2017. Interested candidates can apply online on the official website of NIACL. No other means of application will be accepted by NIACL. The last date to apply for NIACL recruitment for Assistant posts is 29th March 2017. Graduates in any discipline, between the ages of 18 to 30 years are eligible to apply for NIACL Assistant posts. The age limit is relaxable for reserved category candidates as per the government rules. The entrance test for NIACL Assistant posts will be conducted online in two phases- Preliminary and Main examination. Candidates who qualify the main examination will be further shortlisted for Regional Language test before the final selection. The New India Assurance Company Ltd is owned by Government of India and is one of the oldest and largest insurance companies in India.